TPC Overall Rank: #28 out of 2933 rides. In User Top 10: 100 times. User Tracker Count: 187 times. This is my #10 steel coaster. This Intamin is themed around the classic boardwalk coasters. This one is unique in the fact that the soundtrack is designed specifically for this ride, and features an inversion. Don't forget about the launch and airtime! A very fun ride. It was smooth, fast, and had decent airtime. The loop was fun. A nice thrill attraction for California Adventure. The launch is smooth, the soundtrack is great, and the thrills are plenty. My only complaint would be that the seats are a little uncomfortable, but the track itself is smooth. 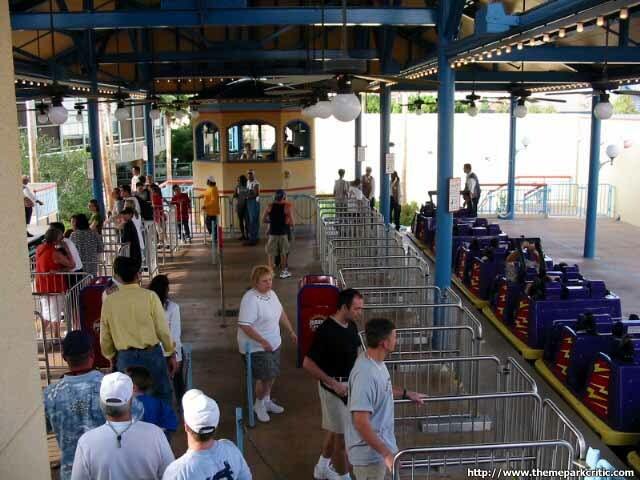 This attraction usually has a short wait thanks to it's dual loading station and multiple trains. Still, I would go here first during your visit (after getting your Radiator Springs Racers FastPass of course). 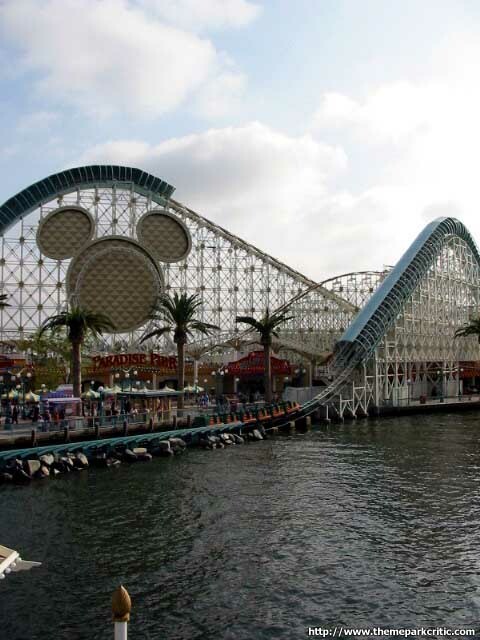 California Screamin' does close early for World of Color, so plan accordingly. Surf's Up, Screamers! Another Intamin great! I had a lot of fun on this coaster. Rode it multiple times during my visit. This roller coaster is one of the best you could ever find. It's not even one of the most thrilling rides in the world in the same regard: the reasons why I find it so thrilling are much different. 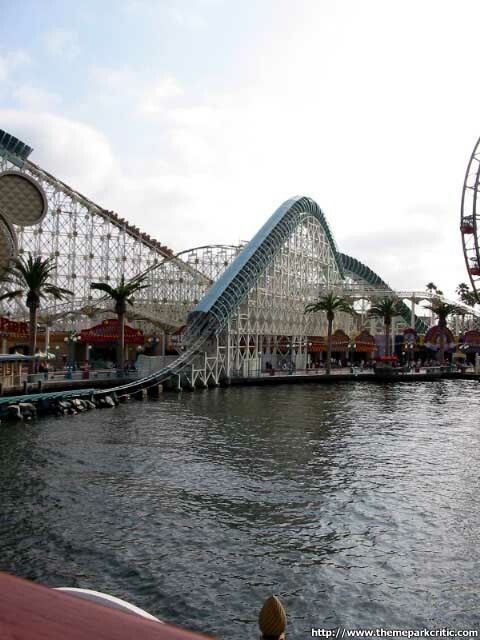 California Screamin' just has that sense of excitement you rarely find on a ride. The layout starts off with a refreshing launch that shoots you up a steep tunnelled floater airtime hill, before completing a series of high, sinuous and fast curves. It really feels good to be there zig-zaging around the park at high speeds. It's just the kind of ride where you can just put your hands up and have fun. Other than all those exciting, smooth and fast-paced turns spanning all over the place, there is also a really cool... mid-course first drop. After the first set of turns, the train takes a climb powered by LIM fins, and takes on a really high and steep tunneled drop. This part only makes the whole thing feel even more refreshing and exciting. There is also a really decent vertical loop with good G-forces halfway through that spices things up and the on-board speakers playing rock music simply boost up the thrilling atmosphere even more. 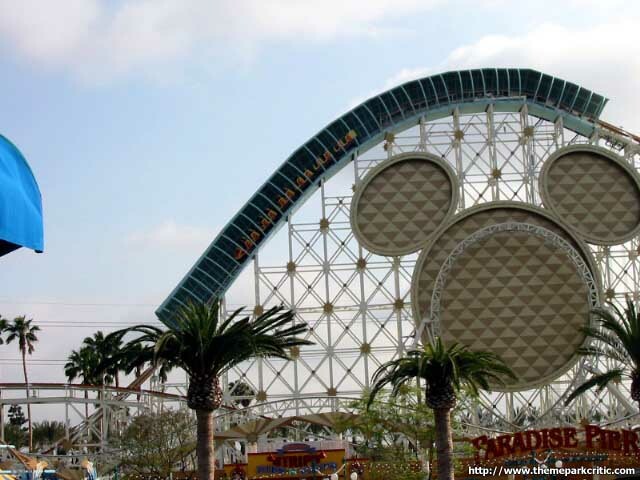 But one of California Screamin's biggest selling points is its length! The ride lasts almost two minutes from the launch to the final breaks and all the way through, something exciting is happening. 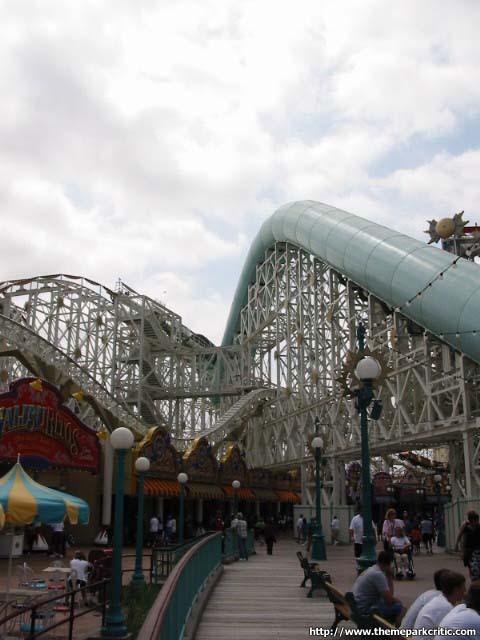 And to keep things from getting tedious, Intamin created one of the most varied roller coasters of all time. The variety of thrilling elements is absolutely top-notch. It has a launch, big tunneled airtime hills, high twisty curves, a mid-course first drop inside a tunnel, some crazy twists and highly banked turns close to the ground and even some bunny hops. 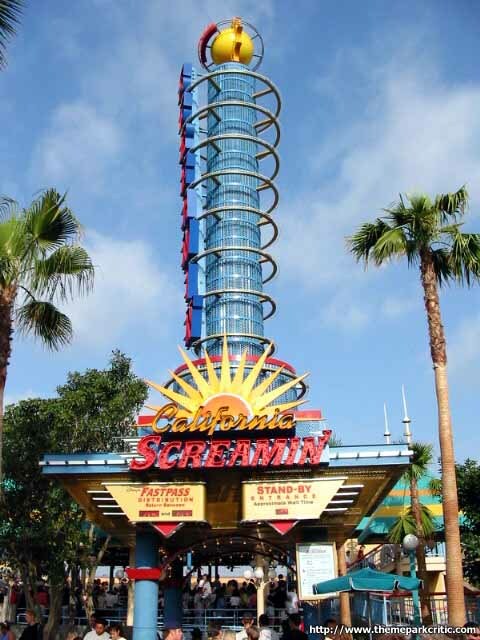 All in all, I believe California Screamin' is a fantastic roller coaster because of its absolutely vibrant and thrilling personnality and the thrill of riding something this long and constantly exciting throughout. It's an intensely satisfying experience and an euphoric thrill like no other. If you make your way to California Adventure, consider California Screamin' your top priority: it's going to blow your mind. Definatly a one of a kind ride that u can't miss. The launch is weaker than most launched coasters but overall this ride still packs a punch! 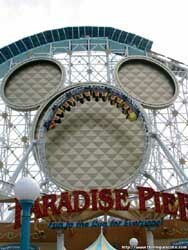 I rode California Screamin a few times over a recent 2-day visit, and was pleased by the ride. The LIMS provide a nice thrust and some serious forces, odd for a Disney ride! The layout is otherwise fun but lacking superb thrills. A lot of ups and downs and speed, which is good but not necessarily what I love. Cali Screamin is a very good looking steel coaster.. probably because its designed to look like a woodie A fun ride, the best coaster on their California resort. For years I had dreams of what would happen if Disney teamed up with a major thrill ride manufacturer to erect an incredibly intense coaster. 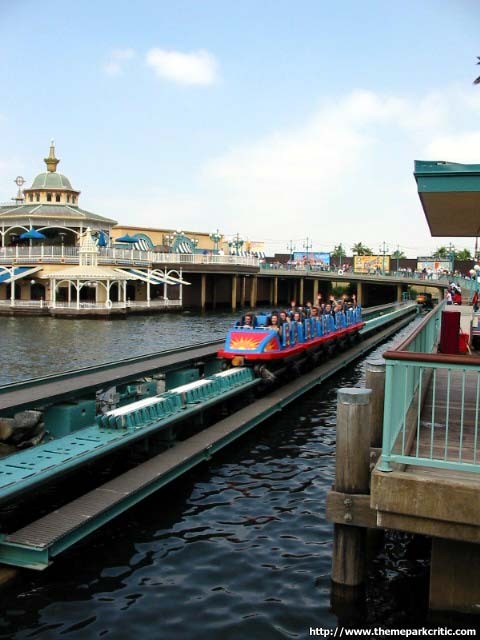 Well, that what if became a reality when Intamin teamed up with Disney to create this beauty to anchor their new park. Now it isnt the most intense coaster out there, but it definitely is the most intense and the best of the Disney coasters Ive been on. Disney definitely accomplished their mission to make this a beauty with the appearance of a wooden coaster because I heard many comments during the day from people saying "Lets ride the big wooden one." Now this thing is a capacity machine and I flew through the line thanks to quick dispatches. The launch was fun, but there definitely are more powerful ones out there as this one had slow acceleration. However, the major drops during the ride gave really good air and the helixes actually had pretty strong forces, especially considering it was a Disney coaster. There were many moments during the ride that I was thinking, "This is a Disney ride?" One such moment was the vertical loop, which absolutely glued me to my seat and made me a witness to the rides pure power. Also, the bunny hills at the end gave some surprising floater air. While not the biggest coaster out there, it is the best ride Ive been on at a Disney park and a real treat.